I stumbled upon this video that I intended to post, so here you go. For those that can’t see the video, here you go. 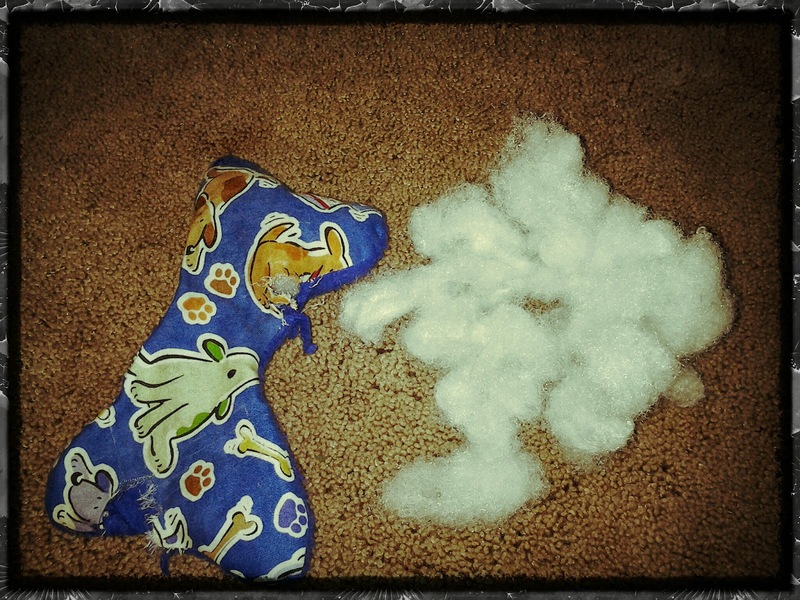 Below is the same toy four weeks later, two Squeakectomies later and stuffing all over the place. Someone was not paying attention to the dog, and that someone was me. What kind of toys do you buy for your pets?